Hacker group OurMine at its notoriety once again! 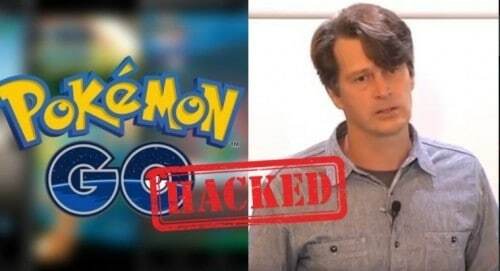 In another high-profile online breach, OurMine hacked into the Twitter account of John Hanke, the CEO of Pokemon Go creator, Niantic, yesterday. Of course, this isn’t OurMine’s first notorious hack. The organization has broken into a number of high-profile accounts, including those of William Shatner, Mark Zuckerberg, Jack Dorsey and Travis Kalanick. This is OurMine’s second attack on Niantic, the first being a DDoS attack on Pokemon Go servers in mid-July. 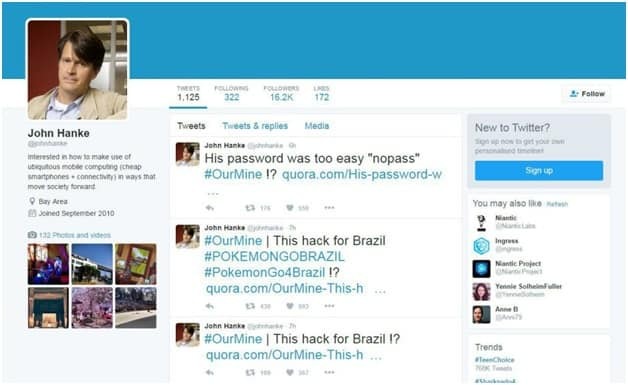 The hackers posted the #OurMinehashtag within tweets on Hanke’s account, and claimed the hack “for Brazil,” as you can see in the image below, captured by CNet. OurMine markets a service that will allegedly scan your accounts for vulnerabilities, and these attacks are predominantly marketing stunts for the organization. P.S. – Set up two-factor authentication across as many services as possible, and use complex, unique passwords for each of your individual services.